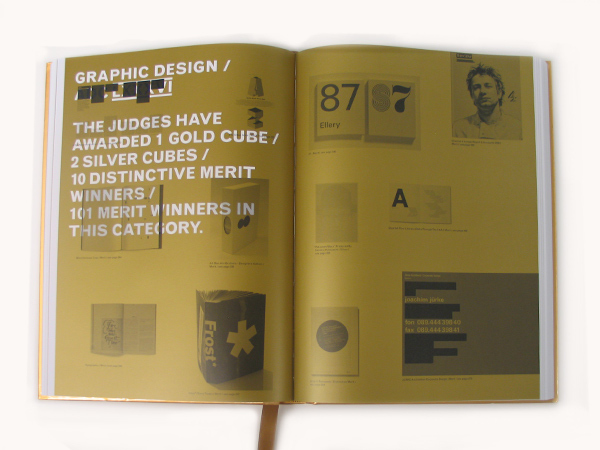 Every year since 1920, the ADC Annual Awards competition identifies and honors the best visual communications work of the year. 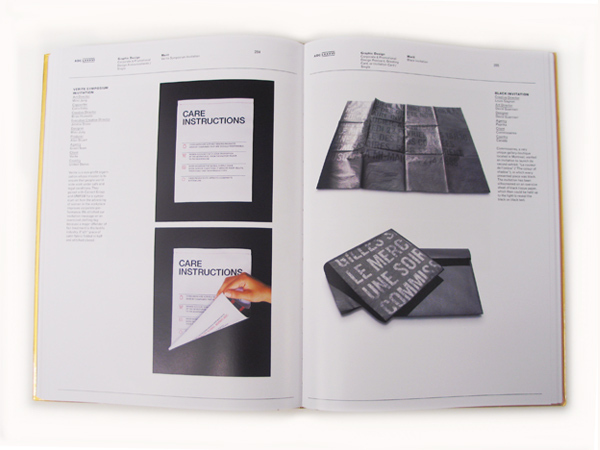 It spans all areas in print and broadcast advertising, interactive media, graphic design, publication design, packaging, photography and illustration. 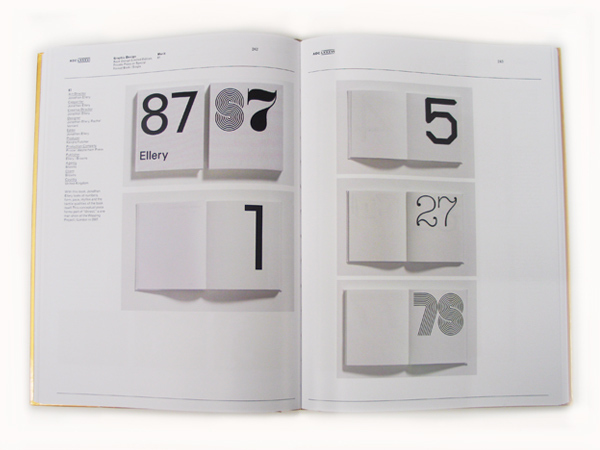 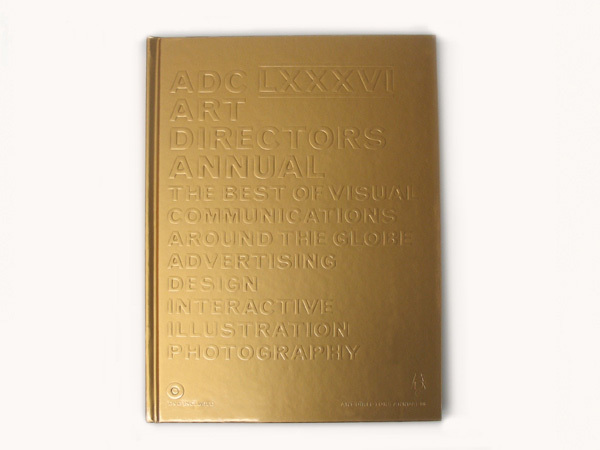 I worked with design studio Giampietro + Smith to design The Art Directors Club Annual 86. 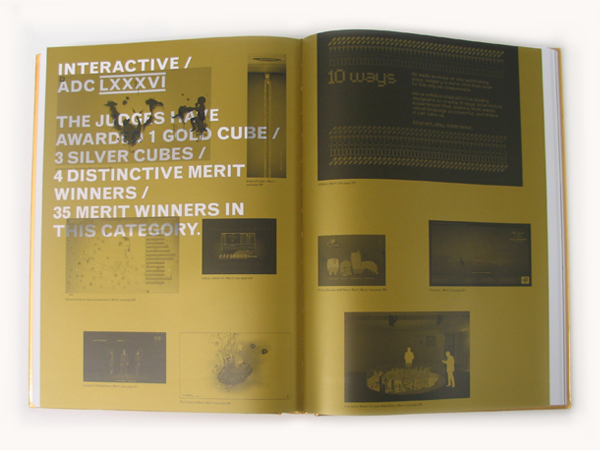 The concept was a simple reference to the gold cubes that are awarded to first place work in the competition.